Yes, the IRS offers tax incentives for hiring people with disabilities. The government designs tax credits to encourage employers to hire disadvantaged individuals who might otherwise have difficulty finding gainful employment. Businesses that make a concerted effort to identify and hire qualifying workers can reap the benefits of thousands of dollars—potentially hundreds of thousands—in Work Opportunity Tax Credits and other incentives that reduce federal tax liability or payroll costs. The government can change the details of WOTC from one year to the next. But, the government often retroactively reinstates expired credits allowing employers to collect tax credits for employees hired in previous years. This means it is essential to gather information about qualifying status from all new hires. Forms 8850 and 9061 (or 9062) should be routinely completed during onboarding. The employer should have the new hire complete Form 8850 when they make a job offer. And, the employer should submit it to the workforce agency no later than 28 days from the hire date. All businesses can apply for WOTC tax incentives for hiring people with disabilities. And, there is no limit to the number of qualifying new hires per year. These credits apply to a percentage of wages paid to the employee during their first year of employment. The amount of wages used varies by target group. Similarly, the percentage varies from 25-40% depending on whether the employee works full time or part time. Some target groups also earn tax incentives for their employers through the second year. The government allows the employer to double the credit amount for disabled veterans with the maximum credit coming in at $9,600. In some cases, it may be difficult to get job candidates to admit that they have a disability. This is not surprising since many disabled workers have experienced discrimination in hiring, limitations in their career, or even termination. Businesses that want to encourage disclosure should ensure that they clearly communicate inclusion and non-discrimination as a workplace value. The employer should back this statement by a willingness to make accommodations and promote a supportive culture and work environment. Partnering with local work agencies that provide assistance to people with disabilities is another way to find qualified candidates. This practice allows the employer to take advantage of tax incentives for hiring people with disabilities. Another difficulty businesses face is simply lack of knowledge about the process. 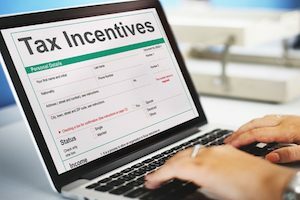 Many employers are unaware that they may qualify for these tax incentives for hiring people with disabilities. Or, they assume the program is too complex or difficult to use—making it a waste of time to attempt to capture the available credits. We aim to resolve both of these problems through education and practical solutions. Contact our team today to learn how WOTC processing can be seamlessly integrated into your onboarding process, ensuring that you can easily claim all the credits your business deserves. What are WOTC Target Groups and How Is a Target Group Determined for a New Hire?